If you’re shopping for marketing automation software, then you’re probably wondering which vendors you should consider and how they compare? Software evaluation is time consuming and the consequences of a bad decision can be costly -- so what’s the best way to begin your search? At TrustRadius, we have access to a vast and growing body of data on the software solutions that potential buyers are comparing. With the new Marketing Automation Comparison Ring, we are making this data accessible to end-users for the first time in a way that we think gives buyers better insights into which vendors to evaluate than traditional vendor "scoring" systems. Analysts like Gartner place vendors on a 2x2 for completeness of vision and ability to execute. 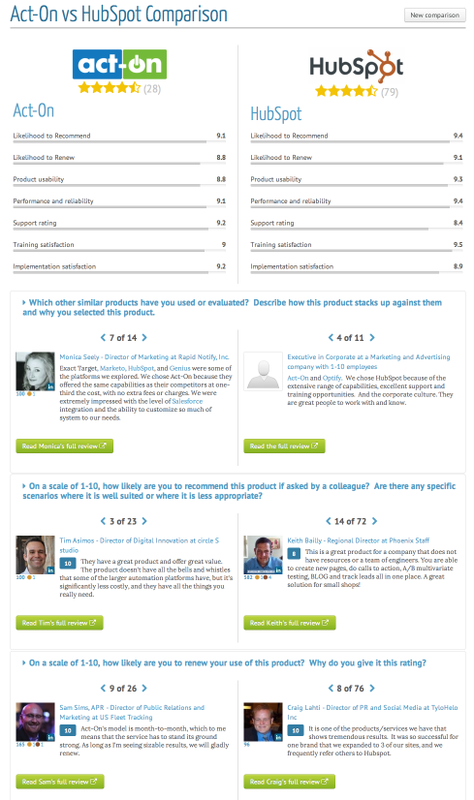 Some software review sites rank products purely based on average customer satisfaction rating. The challenge with both these approaches is that they fail to match buyer needs to solution choice. What may be right for a global enterprise is likely wrong for a small business. Furthermore, customer satisfaction ratings alone are not that meaningful. Less expensive, simpler solutions tend to score higher than more complex and expensive solutions, but that doesn’t always imply that they’re a better fit. Many buyers turn to their peers for advice. This can help identify preferred solutions and even some pros and cons. However, to run a rigorous evaluation, we recommend evaluating 3-4 solutions and accessing more perspectives. But what’s the best way to do that? Build your short list. If you have a product in mind that you think might a great fit, the Ring will tell you which other alternatives should probably be on your list. 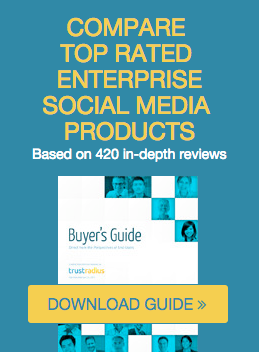 The Ring highlights the products most commonly compared by your peers in the TrustRadius community. 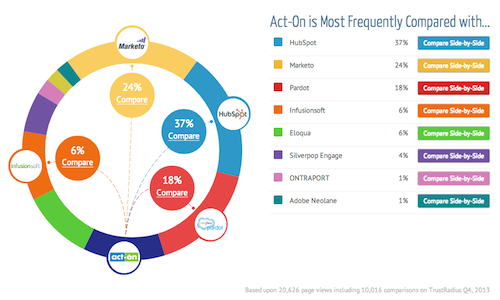 In the example below, Act-On is most compared on TrustRadius to Hubspot, then to Marketo, Pardot and Infusionsoft. Compare products head-to-head. The Ring links to product comparisons which aggregate hundreds of detailed end-user reviews so that you can quickly understand the relative merits of different solutions and compare them on the criteria that matter most to you: features, usability, customer support, or other factors. The Ring is based on over 20,000 page views including over 10,000 comparisons run on TrustRadius from October to December of 2013. 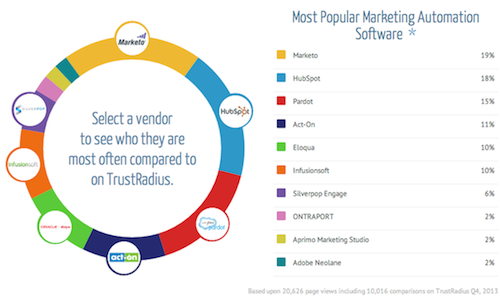 To get started, select a vendor on the Marketing Automation Comparison Ring to see which other vendors they are most often compared to by your peers on TrustRadius, then click on the “Compare” link to see a detailed head-to-head comparison.